The other night my wife and I were sitting on the couch enjoying a bottle of Merlot and I started smelling the wine, then she did and next thing we know we are going back and forth about what we smell in the wine. Now this may not seem like a big deal to many of you, however, with two kids (and 5 animals) in the house we don’t get as much ‘sit around and smell the wine’ time as you would think. Sure, it’s a huge passion of mine, and my wife enjoys it too, but daily life often gets in the way of really thinking about the wine and trying to place what aromas are coming out of the glass. This particular bottle was about seven years old and comes from a cooler part of Sonoma County. Cooler climates generally lead towards darker fruits and there were plenty of those: Dark cherries, boysenberry and plums. This one also brought in tons of earthy character like hay and dirt. And some very unique smells like metal, granite and blood. Yup, that’s right, blood. Some of you might be grossed out (and that’s okay), but you smell what you smell. And might I add that your brain can only recall aromas that you have smelled and identified before and my wife who is a veterinarian by trade (remember the 5 animals) is used to being around blood and can certainly identify the smell. It all comes back to experience. One of the most difficult things in wine is sensory recall – being able to name the aromas levitating from the glass. It takes concentration and not being drunk. It takes patience. And most of all it takes practice. Lots and lots of practice. And that is the fun part, right? Well, I’m back in it! 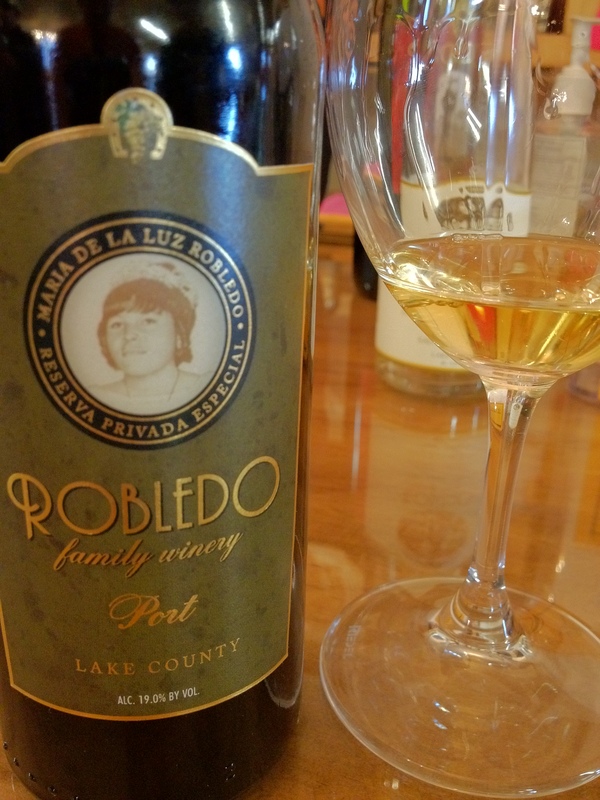 It’s been a while since I’ve had a chance to get out and do some wine tasting, but I jumped back in this past week with a visit to Robledo Family Winery in Sonoma. When I first announced that I was doing Traveling Tuesdays, the tweeter (is there such a thing?) for Robledo jumped right in and asked if I was coming for a visit. So, four months later, I finally made it. I had been once before, but it was nearly four years ago, so many things had changed and I didn’t really remember what the wines tasted like. The story is one of truly pulling oneself up by their bootstraps: With $30 in his pocket and a dream, Reynaldo Robledo came to the U.S. to start a new life. Except for a trip back to marry his wife to Mexico, Mr. Robledo spent all his time in California. He acquired a job with Christian Brothers in Napa Valley and eventually became a manager with the company. Eventually, he was able to purchase 13 acres of vineyards in Napa Valley’s Carneros region, followed by many acres in Sonoma and Lake counties as well. The family now owns nearly 400 acres of land in the three areas and produce more than a dozen varietals. 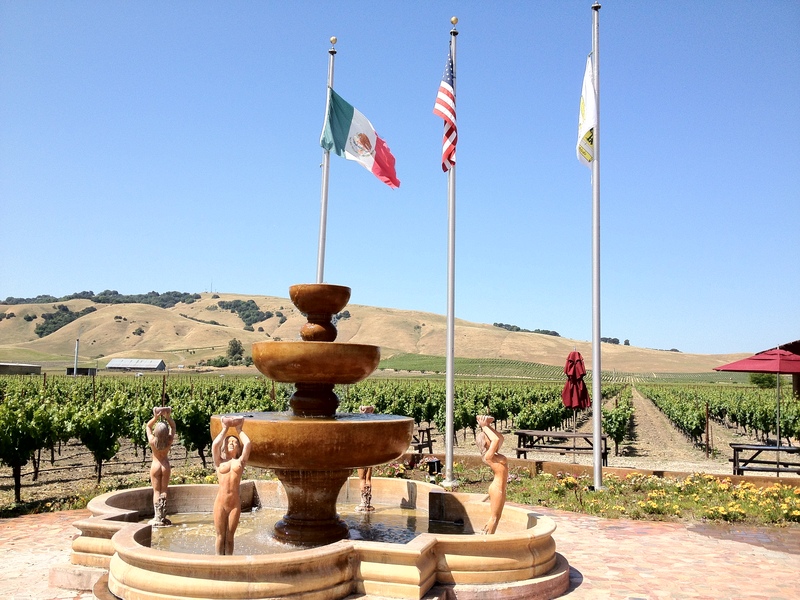 They remain one of only two latino-owned wineries in all of Northern California and are quite successful. The tasting room itself is a little difficult to find, but after trying a few doors I found it. Once inside the room is quite large and able to accommodate many guests at one time. We were greeted by Luis Robledo, one of 9 kids of Reynaldo – 9 kids! All the family are involved in the winery in one capacity or another. Luis mans the tasting room, but I’m sure he does much more than that. I ended up going home with half a case of the Sauvignon Blanc. I was getting low on bright, refreshing summer wines and the price and flavor were right for the warm months ahead. Luis also poured Chardonnay, Pinot Noir, Zinfandel, Petite Sirah and a late harvest Sauvignon Blanc to round out the tasting. Oh and a white port! There were many more wines available, but they will have to wait for another visit which will definitely happen again. Time really flies – This week marks five years since I worked my first day in a winery tasting room, changing my career life forever. Okay, it changed my life period. Working with wine has certainly been the most fun I’ve ever had at work. I mean seriously if you can’t have fun pouring wine, maybe you’re just not a fun person. Recently I’ve been diving into the craft beer world for a new aspect of my job and I can’t help but think of where I was five years ago. At that time I knew that I liked wine and that was about it. I’ve learned a lot from many places including customers, co-workers, winemakers, managers, classes, seminars to mention a few. But there’s always more to learn especially in this every-changing industry. Just like wine, I knew I liked beer – some beers more than others, but not much more than that. I’m excited to be learning more about this beverage I’ve been drinking for many years – I’ve never really thought about all it takes to make beer before. This isn’t a beer blog, so I won’t be posting regularly about the subject, but just thought it was interesting that there are so many similarities between the two industries. One thing I’ve noticed is craft beer lovers are an extremely loyal and passionate group. They are also quite opinionated. Sounds like another category of alcohol drinkers I know. The ones I’ve been working with for the past half decade. I didn’t realize there were so many intricacies with beer, from the type of hops and yeast to some beers that are barrel-aged and so much more. All of these things equate to grape growing and wine making too where the yeast selection and type of barrels used all make unique flavors in the wine. The only big difference seems to be the time it takes to get from production to the consumer is much quicker with beer. This is definitely a benefit to the brewer assuming they have buyers for their products. Quick turn around time is something that definitely doesn’t happen with wine. Beer consumers are also very educated. They know their stuff. Working in a tourism industry, I have often spent time explaining how grapes are grown and how wine is made before getting into specifics of a particular wine. In the beer world, it seems as if the majority of drinkers are already educated leaving the conversation more about the specific products rather than an overview – which is why the details are so important. Most of you will know Ravenswood for all the grocery store wines they produce. 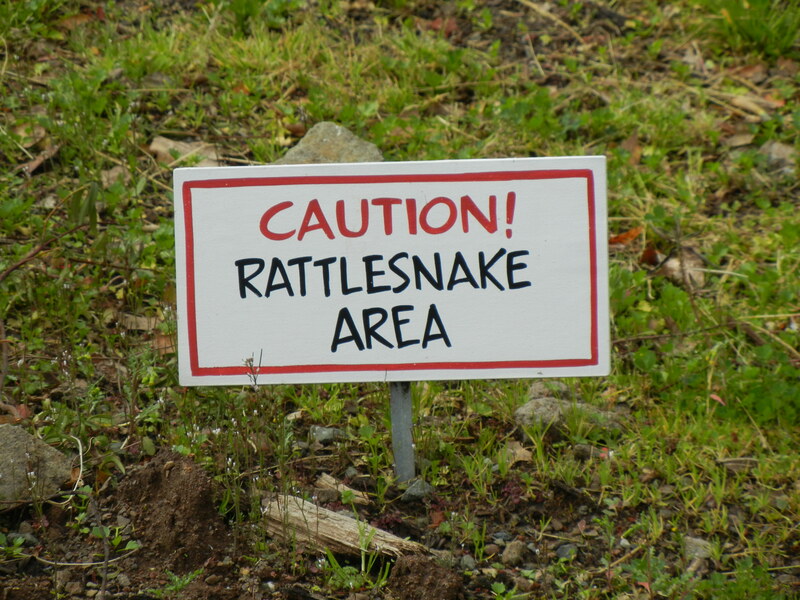 Sure, they are a great value, but maybe not what you’re looking for in a wine country experience. Fear not. 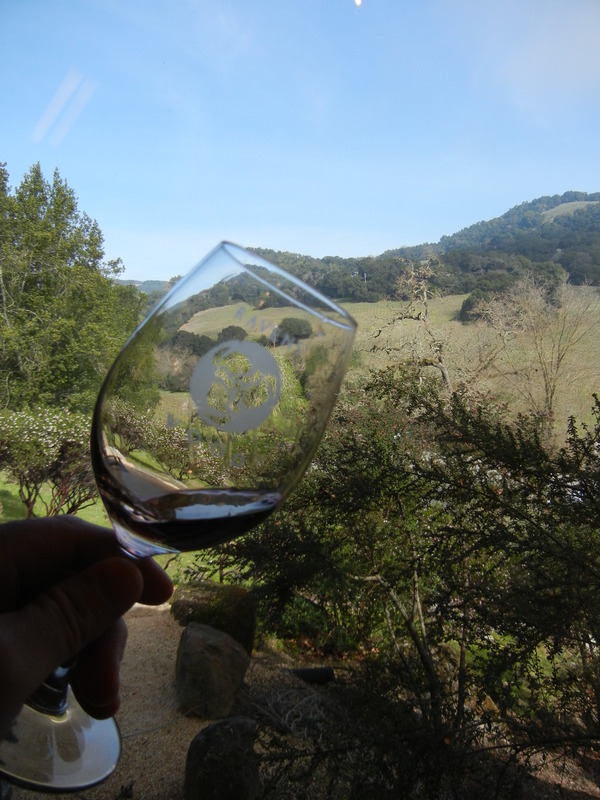 Their tasting room, nestled in the hills above Sonoma, is an inviting environment where I could see myself spending a lazy afternoon sipping great wine while being entertained by the knowledgeable staff. We were greeted initially by one man, then two more appeared as the bar began to receive more guests. I could tell they all had been working together for a long time as they had excellent movement behind the bar and interaction with each other. First in the glass was an off-dry Guwurtztraminer (one of my favorite styles) followed by a 300 case production Chardonnay. Both were very nice wines that I could find many uses for in my quest for great food pairings every month. A quick stop at Rose of Zinfandel (not White Zin) and Syrah before heading to the bigger red wine offerings. 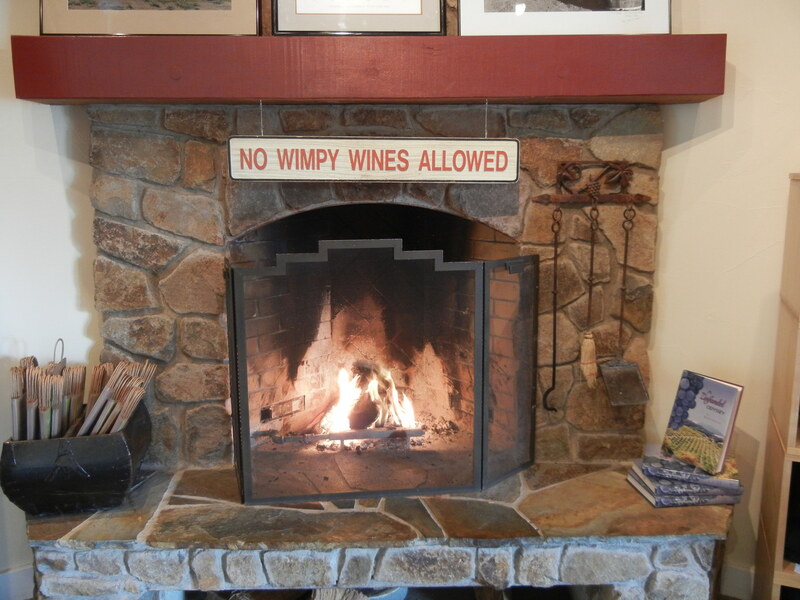 Ravenswood’s slogan is NO WIMPY WINES! And I would agree with their viewpoint. All the wines stood up and said “HERE I AM”, but in a nice fashion. Many times ‘big’ wines end up being out of balance and are trading their style for winemaking finesse. But here the wines all had unique character from each other (even the five Zinfandel wines they were pouring had distinct flavors). This is no easy feat. It takes a lot of winemaking and grape growing talent to let the vineyard shine as it did with these wines. And here’s where the experience in the room gets great. They do have some of the wines you find at the grocery store in the tasting room, however, the majority of what they pour and sell there is all small production wines available only there or through the wine club. And it shows. The wine quality is above average for the price points and I wouldn’t kick any of them out of bed. I couldn’t help but stop and enjoy the view…. Even though it was going to be close to 70-degrees today, it was a chilly morning and the fire was a nice touch…. My pick of the day was the Chauvet Zinfandel from a vineyard in Glen Ellen. It’s a field blend of Zin, Carignane, and Petite Sirah. Field blends are when all the different grapes get blended together as the vineyard is picked or on the crush pad. There’s a small number of them because of the risky venture of blending before fermentation. Once blended, you can’t unblend. This particular one was very tasty and ready to drink. Why wait, right? 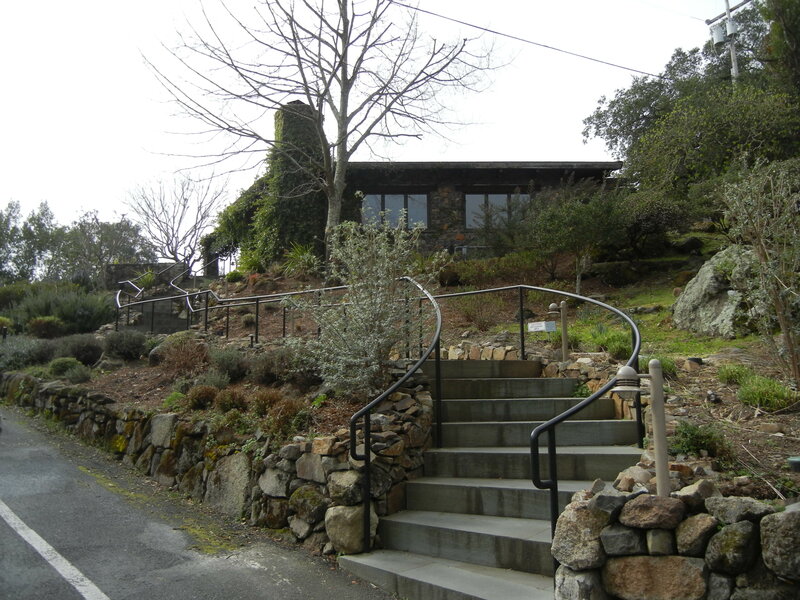 Next time you’re in Sonoma, take the short drive up the hill to the tasting room. You’ll be surprised at the number of wines available only in the tasting room as well as the high quality of the juice. Commuting through wine country, so much better! Today I drove to San Francisco from Sonoma. Normally, I drive the other way to Santa Rosa. Let me tell you, what an experience. I left the house early planning for some traffic and as soon as I got in the car I turned the radio on to hear that there was a three car accident halfway to SF. Oh well, I thought as I settled in for a long drive. Sure enough, it was super slow for a good 20 miles. Fun. But it was all for good as I was going to the Direct to Consumer Wine Symposium. It was sure to be a great day of wine talk and inspirational ideas of how to run all operations of The Wineyard better. And the conference did not disappoint. Great information was shared. Then after the day was over, I climbed in the car and did the reverse of the morning only it was worse because it was raining. Californians do not know how to drive in the rain, so it was an even slower commute than the morning. And the whole time I couldn’t think of anything but how great my ‘regular’ commute is. Of course, I knew this already. Mostly because my commute takes me past some of the most beautiful vineyards in Sonoma County. All while driving on a meandering two-lane road at the slow pace of about 50 MPH. But that 50 MPH is way faster than I was able to drive today. An interesting observation since I always thought everything was faster in the city. I guess that’s everything except the traffic. I actually feel bad for the people that have to do commutes like that. My wife was one of them for about 5 years before landing a job close to home. We all make choices and we chose the slower life here in Sonoma and never looked back. I’m so happy we did. Life is great! This is really just a reminder that life is short and we should all do everything we can to live it to the fullest. More tomorrow on the awesome wine we had last night. It’s been nearly 80 years since prohibition was lifted in the United States. For some that’s four generations of family that have been ‘removed’ from that situation. With each generation that arrives, they drink alcohol more. Hopefully, more responsibly too. It hit me yesterday (again) when I was sitting next to someone who said to me, “I don’t drink alcohol”. It wasn’t out of the blue, we were talking about the wine industry. There was some explanation about how they had too much (of everything) during the 60’s. Okay, I guess I get that. And there, of course, is a number of people who can’t handle drinking alcohol and struggle with that daily. I get that too. I believe that is a small portion of the general public. There is a fair portion (about 32%) of the population that chooses not to drink for whatever reason. I would argue that some of that stems back to prohibition. Like it or not, to a certain extent we model out parent’s behavior. Later in life (college, early-career, etc…) we make more and more choices based on our experience, but our parent’s ideas and models are still in the back of our mind. If they didn’t drink, there’s a good chance that we won’t. So, generations later the parents that didn’t drink because it was illegal have kids and grand-kids that still aren’t drinking. This continues to be bad for the wine industry. Unlike some other alcohols, wine takes years and years to produce. Prohibition was extremely detrimental to vineyards and wineries. It wasn’t until about 30 years after the 21st amendment that the wine industry in the United States started to revive itself. But by that point the public’s taste in alcohol skewed towards beer and hard liquor which were much easier to produce, not to mention bootleg during prohibition. The good news is wine consumption is on the rise. And more and more of that is happening in relation to food consumption. Wine is an almost daily resident at our dinner table. My kids will grow up knowing that wine with food in moderation is a great thing. And can even lead to a healthier life. Likely, they will drink wine at their dinner tables someday too. It helps that I’m in the wine business. But it’s not just that we drink wine. I hope we adopt the more European lifestyle in that wine and food are meant to be respected and together they make life more enjoyable. But everything in moderation – something that Americans have issues with. I also think that because it was taken away from us for over 13 years, we just don’t do moderation very well. We also learned as kids that something that was taken away from us was even more desirable. Maybe we’re afraid that our alcohol will be removed from society again. In 2009, the United States reported 9 liters of wine consumption per capita, according to the Wine Institute. 9 liters is 12 bottles of wine. That’s one bottle of wine per month, per person. Not very much. That also means that those that drink wine on a regular basis are drinking way more than that to make up for the 32% of the public that doesn’t drink at all. I know we drink much more that 1 bottle per month. We will usually consume 2-4 bottles per week. But it’s also the main alcohol in our household. I don’t drink much beer, but I do enjoy a good whiskey – just not nearly as often as wine. So, what does all this mean? Well, with each generation we will probably see wine consumption increase in the U.S. I think we’re seeing that already just based on the young(er) consumers that visit the tasting rooms I’ve been working in. I also think that the wine industry (post prohibition) is still young. That’s great news because we have nowhere to go but up, right? I’m a dreamer at heart and one of my dreams is seeing more bottles of wine on American’s dinner tables more often. But I’m not a wine snob in the way you probably think that statement is usually said or interpreted. **I usually bring my own bottles of wine to restaurants because I’m afraid of what they might have on the list. **I dread going to weddings because of the wines they might be pouring. (Yes, I know how this sounds. The wedding is about the people getting married, not the wine, but that doesn’t mean I can’t have good wine!). **I swirl, sip, slurp and swish my wine. It enhances my experience. Seriously. You should try it. **I look forward to trying new wines from all areas – I really am open to trying anything. 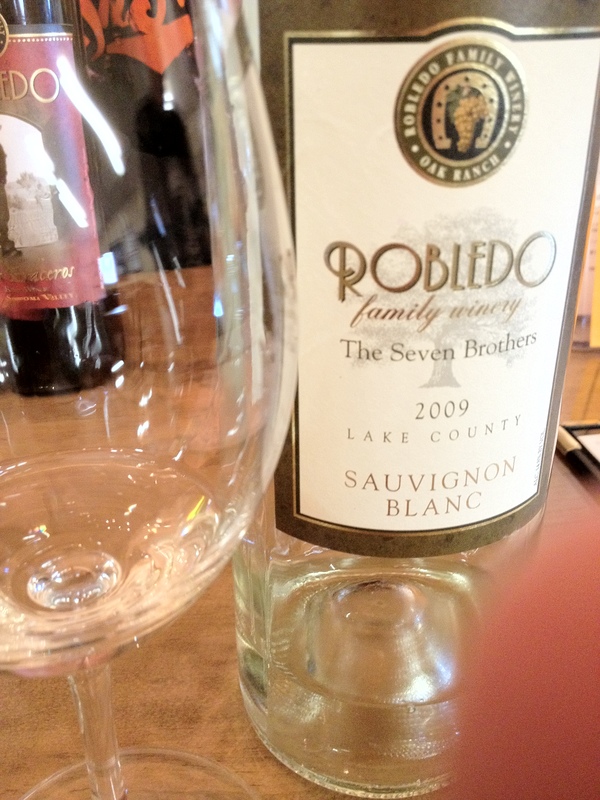 **I’ve very much enjoyed looking for inexpensive wines with great flavor this year. **Bad wines I’ve encountered in the past few years have been few and far between. **Really, really good wines I’ve tried in the past few years have also been few and far between. I think those last two statements really sum it all up for me. There is a lot of wine floating around in that in middle area. It’s not “bad” and it’s not “OMG, this is the best wine I’ve ever had!”. It’s where I spend most of my wine drinking time. Partly because I’m on a wine budget, but mostly because if you drink “OMG wine” everyday I think you lose perspective. It takes a bad wine to know a good one. Do you know what I mean? I was e-mailing with a friend yesterday and this person was having a bad week. And I said, “You can’t have a good week, if you don’t know what a bad week is”. Maybe that wasn’t what this person wanted to hear, but it’s very true. The same goes for wine. If days, weeks or wine was like The Truman Show, then I’d be making wine in my garage and selling it to you right here. You wouldn’t care, because it’s all good juice, right? Here’s the thing: A really serious wine snob wouldn’t be open to trying all types of wines. A wine snob would rather sit back and read what all the wine magazines, publications and critics have to say before even thinking about purchasing a wine. A wine snob would pick a bottle off the restaurant wine list based on price alone. If it’s expensive, it must be good. 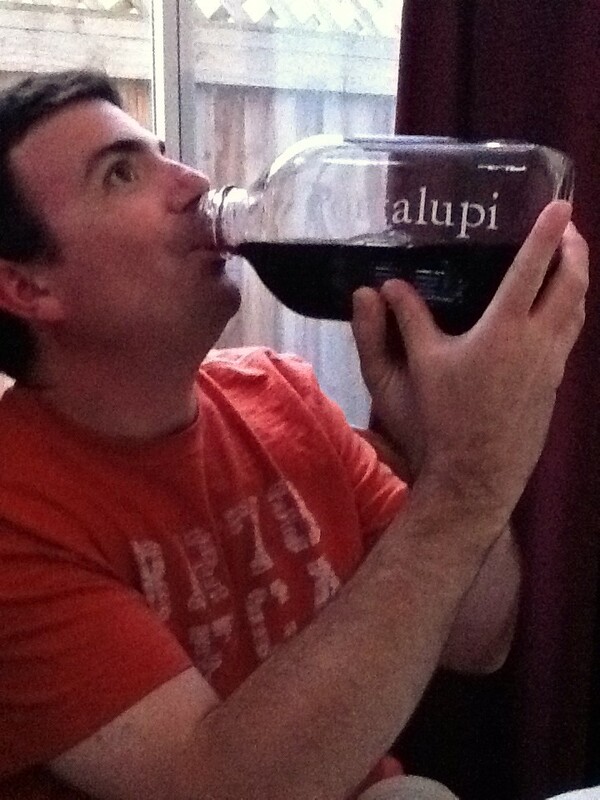 A wine snob wouldn’t be caught dead drinking wine out of a jug (premium jug or not)…. Yes, I like good wine. Yes, I like very good wine. No, I don’t like bad wine. But I’ll keep trying all wines that find their way to my snobby mouth so I can keep some well needed perspective.